Get Locked Out During Musikfest? 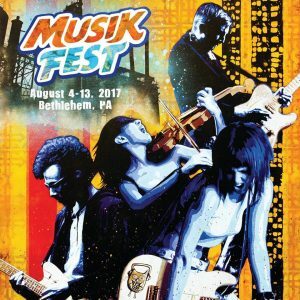 We're There For You | 24/7 Emergency Locksmith Inc.
Musikfest is here again and will run August 4 through 13 in downtown Bethlehem, Pennsylvania. More than one million people come to Musikfest, which is the largest free music festival in the United States! If you’ve never been to Musikfest, think of it as a block party that runs through the whole city. There is great food, constant live music, and some national acts including Live, Toby Keith, Santana, and more. Visit Musikfest’s official FAQ page for some questions on parking, tickets, and more. You can also download their app! As with any festival during the summer, losing your keys or locking yourself out of your car is always an unfortunate reality. Thankfully, 24/7 Emergency Locksmith is there for you any time of day or night. Whether you have an issue right when you get to the festival, or come to find that you have a problem after you leave the last show of the night, simply call us at 484-891-1922 and we’ll be there for you! Please, be safe during Musikfest if you go and always designate a driver. We hope to see you there!